The A001 has been developed for specific European regions with moderate climates and wet, light winters such as the UK, Ireland, Belgium, the Netherlands, northern France, western Germany and Denmark. The new Bridgestone A001 is designed to give drivers in these regions a confident, safe driving experience all year round. The tyre is dynamic and easy to drive thanks to excellent front-rear balance, stable cornering and strong traction in both wet and dry. On wet roads, the specially designed lens-shaped blocks ensure smooth water evacuation with low water turbulence, reducing the risk of hydroplaning. With the A001 drivers don’t have to worry if winter does strike. The pattern’s high-density siping has plenty of edge effect, for confident handling and braking on cold, frozen and snowy roads. 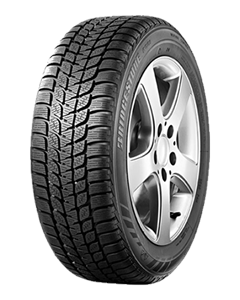 Where summer tyres fail to perform, the A001 takes motorists safely into cold and more challenging winter conditions. Bridgestone has also tuned the tread pattern for low noise and optimum road contact in all surface conditions. Sorry, we currently do not have any tyres with the Weather Control A001 pattern in stock.